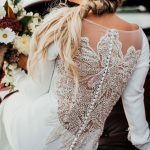 How many of you have dreamed of your wedding dress since you were young? 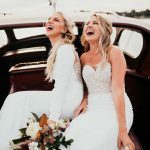 For many brides the most exciting parts of the wedding process is going with your close friends and family to try on gowns and putting on that perfect dress. But it is also magical for the ones helping you out. 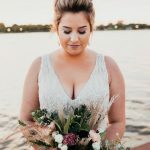 We had the wonderful opportunity to chat with Britney Reed, the owner of Infinity Bridal in Bay City, MI. 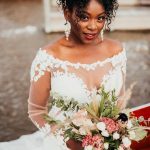 Read about her experience running a bridal boutique and being a bride below! 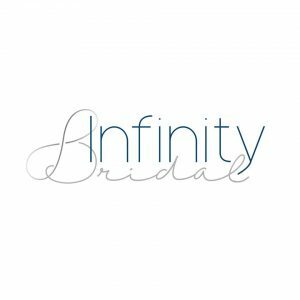 We love your boutique and vision ~ how did Infinity Bridal come to be? When I moved home from college 7 years ago, I was in need of a part time job & happened upon an opening at a local bridal salon. I spent 6 really amazing years there. 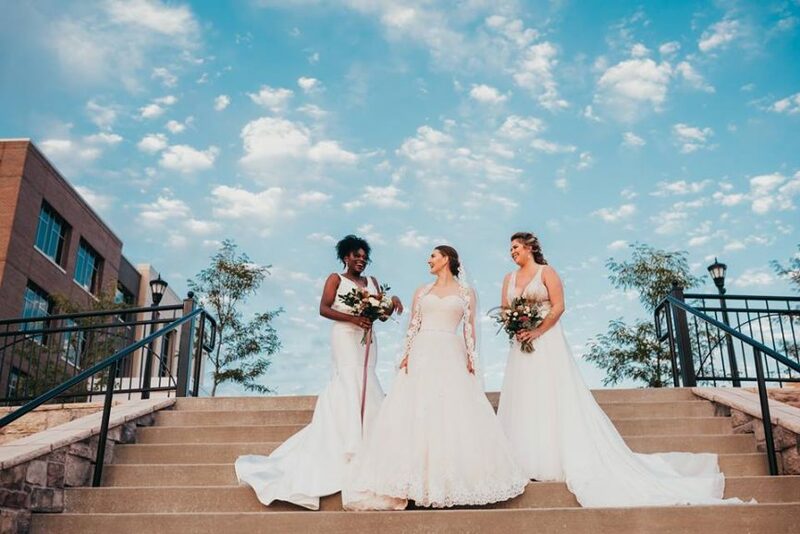 The longer I was there the more I realized how much I really enjoyed being a part of this important part of a bride’s journey to her wedding day. After a lot of discussion with my dad and the stars aligning in ways I couldn’t have hoped for, here we are. Infinity Bridal was born from my love of people really. I do love bridal but I love people. I get a lot of pleasure from partaking in others happiness and I take great pride in seeing what we have created in this beautiful space. And if you love people and you love, well, love…then a bridal salon makes sense. Your wedding gowns are swoon-worthy. 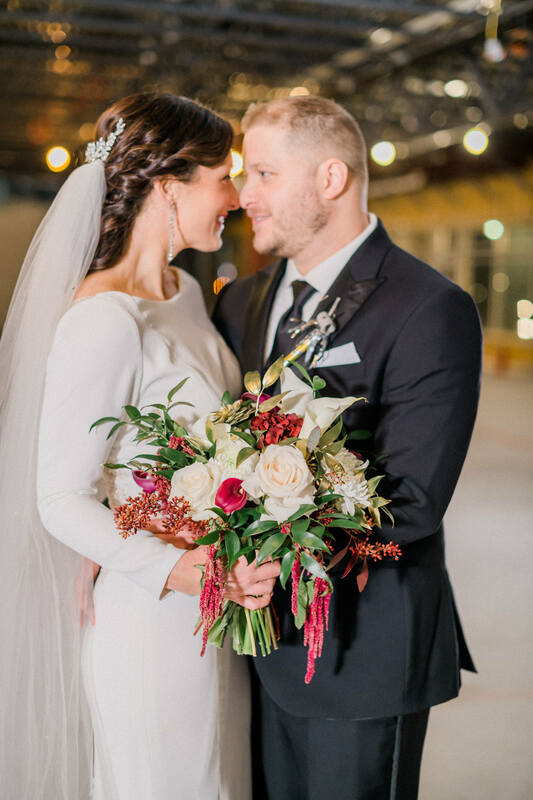 Can you tell us a little about the designers featured at Infinity Bridal? 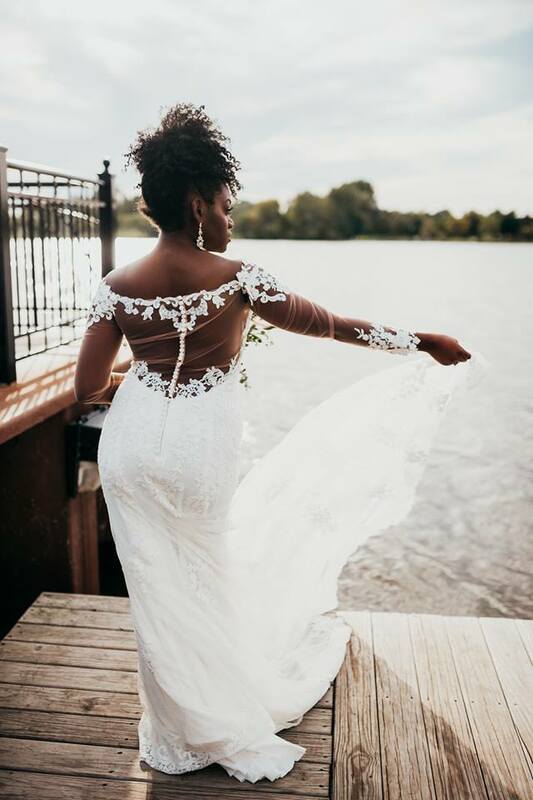 Once we knew Infinity Bridal was going to be more than just conversation, we really had to get moving on working to find designers. Our rep from Justin Alexander, Derek Horn (who is amazing and we love dearly) was the first bridal representative to reach out to us. The collections that fall under Justin Alexander are incredibly inclusive. They are designed with all women in mind from style to shape to budget. It was important to us to find collections that were different to the area but also provided options for all women. I am continuously inspired by the individuals I have surrounded myself with over the creation of this company. As a very logical and even thinker I get a tremendous amount of inspiration from those I collaborate with. I try to soak up as much of their creative energy as possible as I am COMPLETELY left brained. We have been very lucky to work with such amazing people from all walks of life and their continued generosity in helping us grow inspires me to work harder and be better and lend my support where needed! 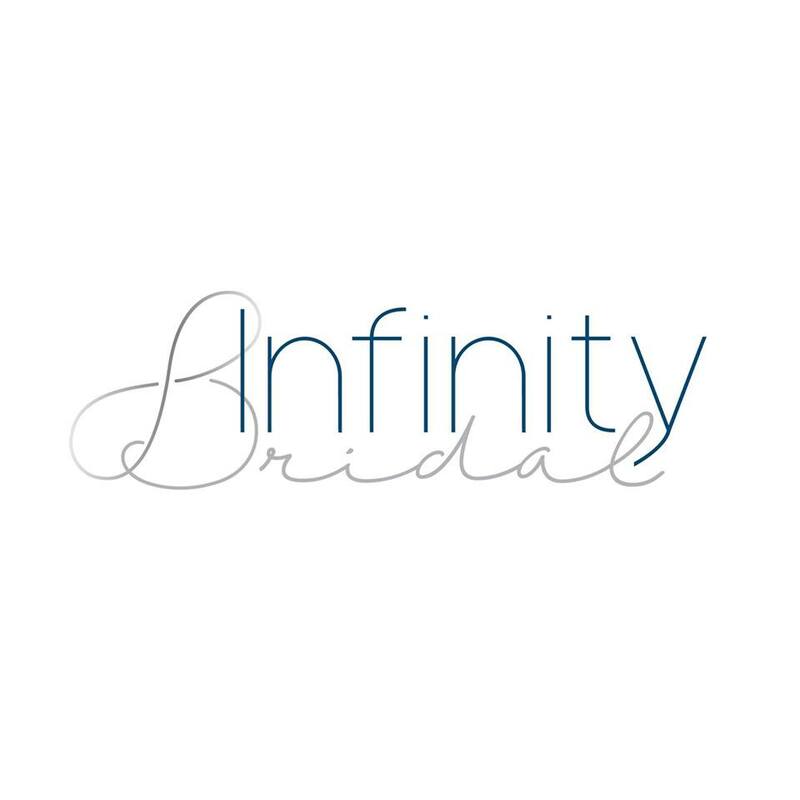 How has your bridal journey influenced Infinity Bridal? Having worked in this industry for quite some time now I have definitely learned what I do and do not like and that spilled over into my own wedding. Seven years ago, I wanted a gown covered in lace with a giant bow on the back (OH MY GOD CAN YOU IMAGINE) and I walked to the alter in a very classic, sleek crepe gown with long sleeves and extensive beaded detail along the back. In another seven years I will probably have an entirely new outlook on the bridal industry because it is constantly changing. 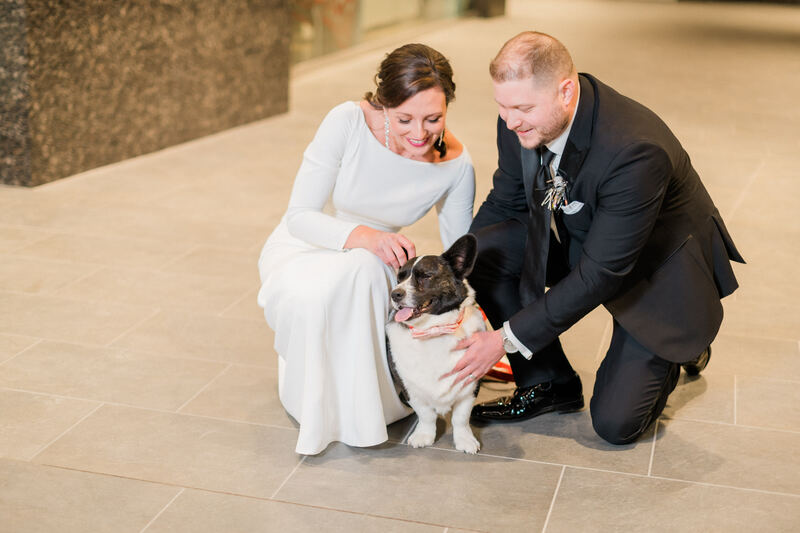 But I loved everything about my gown and wedding and I do owe that to the hundreds of brides I have had the chance to listen to, talk with & share ideas over the past several years. It should also be mentioned that I had a VERY different bridal moment than most brides…which surprises people as I own a bridal salon. My bridal moment was in my mom’s dining room. No makeup. My hair a mess. She cried. I laughed. It was our perfect! 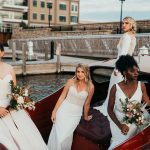 What bridal trends do you anticipate seeing in 2019 and beyond? Things are always changing especially as we move further into a more inclusive world. What a “bride” should look like is not a thing anymore. A bride is now every woman and there are designers who make incredible designs that showcase every style out there. 2019 is definitely bringing in a lot of simplicity and clean lines. Lace fabrics are changing, detachable trains are big now. It’s amazing what happens with every new collection. How have you managed to open an amazing bridal boutique while planning your own wedding? Honestly, it was kind of a blessing that it all took place together. Having two large projects gave me a place to focus my nervous energy and I really enjoyed being able to share details and advice along the way. 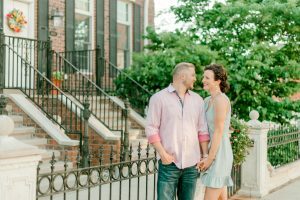 The thing I love the most now is being able to tell my brides how truly excited I am for their big day. Our wedding was truly an amazing day and I hope every bride approaches their wedding day cool, calm and collected. You really have to roll with the punches because not everything goes according to plan…and that is okay! What challenges have you encountered while planning your big day? My biggest challenge was asking for help. 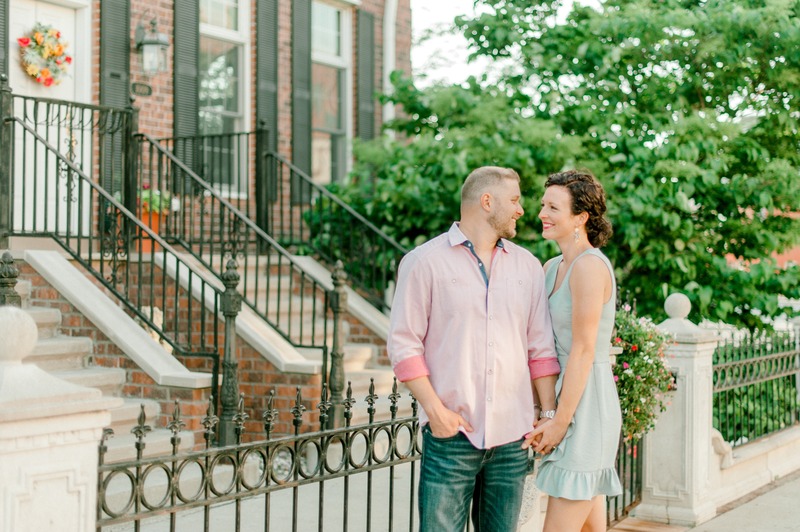 I thought I could do it all start to finish and planning a wedding is a large undertaking. Thankfully there are websites that offer advice and keep you on track but you MUST ask for help. And when all else fails, hire the professionals to get the job done! 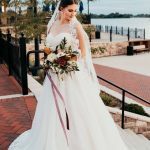 What advice do you offer to brides? Be selfish. I know that sounds harsh but, be selfish. It is your day. It is the one day that is all about you and your soon to be husband. You should have everything you want without question. I get questions a lot about how I handled family & friends and unsolicited advice and you have to take it in strides. Make sure your partner is on the same page and has your back. Communication is big here. You can’t face the world alone and you shouldn’t have to, you are gaining a life partner after all! And remember, your family loves you and will love your choices no matter what. Every detail should be an extension of you and your significant other. And above all, enjoy the day. As I mentioned before, nothing will be exactly perfect and that is okay. 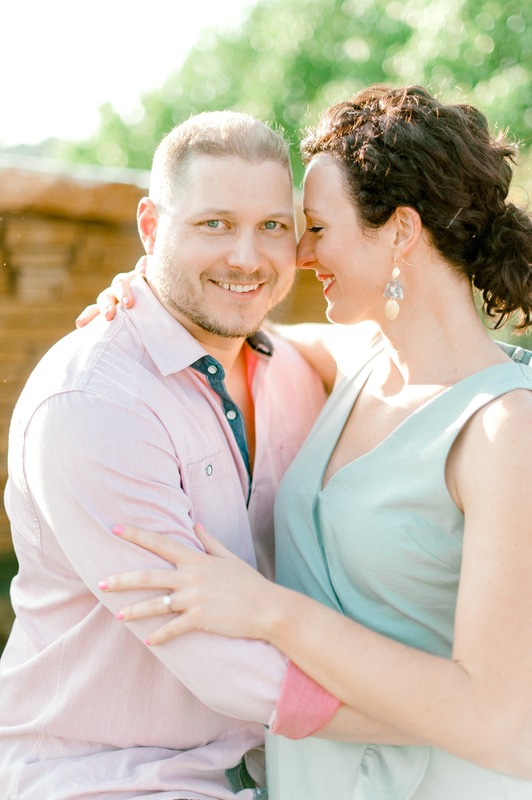 It poured on our wedding day…poured…and we made the most of it and loved every minute. What is the best advice you’ve received while planning your wedding? To spend the money! We were very conscious of what our money went to and the things that were the most important to us we spent the most on. It is a once in a lifetime day. If photography is at the top of your list, spend the money. If dessert is the only thing you care about consuming that day, spend the money. You don’t have to go broke but make it what you want it to be. There are always little things that can take a back seat so you can have those things you deem most important.